The director of West Virginia's mine safety office says there is a growing substance abuse problem among miners. Director Eugene White of the Office of Mine Health, Safety and Training told legislators on Monday that more than 800 miners have failed drug tests over the last three years, according to The Register-Herald. This year, White said 214 mining certificates have been suspended because of drug abuse. He said prescription drugs are the most commonly detected substance, while marijuana is second. While White said the number of substance abusers is a small percentage of all miners in the state, the statistics are still alarming. Besides current miners, White said 165 people failed pre-employment drug and alcohol screening. As former Massey Energy CEO Don Blankenship stands trial in Charleston, federal prosecutors continue to present evidence that he conspired to violate federal mine safety standards leading up to the April 2010 explosion at the Upper Big Branch Mine. Murray Energy has agreed to pay more than $3 million to resolve safety violations issued to five coal mines in northern West Virginia under a previous owner. The U.S. Mine Safety and Health Administration said Wednesday that an administrative law judge approved the settlement between it and the Ohio-based company. The settlement resolves a total of 1,753 violations issued to the Blacksville No. 2, Robinson Run No. 95, Shoemaker, Loveridge No. 22 and McElroy mines prior to Murray Energy's acquisition of the operations from CONSOL Energy Inc. in December 2013. 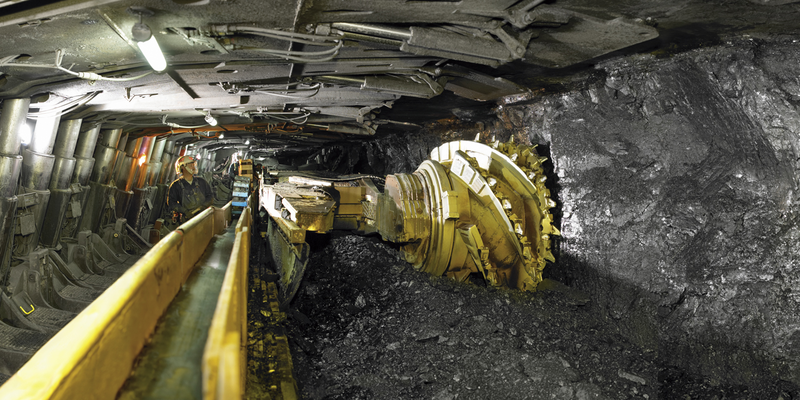 A proposed rule from the Mine Safety and Health Administration will be published Wednesday, September 2, 2015 and requires all haulage machinery in underground coal mines be equipped with technology that prevents miners from being struck, pinned, or crushed. Attorneys for former coal executive Don Blankenship are pressing for documents related to the deadly Upper Big Branch Mine explosion in 2010. They want the U.S. Mine Safety and Health Administration to turn over what the attorneys say are previously undisclosed documents. They include any records about a meeting and a phone call between the former Massey Energy CEO and MSHA's chief Joe Main in the two months before the mining disaster. A Murray Energy subsidiary has been cited by federal regulators for an accident that killed one worker and injured three others at a mine in Marshall County. A report released Wednesday by the U.S. Mine Safety and Health Administration says McElroy Coal. Co. didn't adequately support the roof, face and walls where miners work or travel. President Barack Obama speaks in Charleston Wednesday about West Virginia's epidemic of prescription drug and heroin abuse.